A panoramic set of screen printed coasters from Yardsale Press! You've seen his awesome letter tile coasters! Now, here's a look at some of of Bryan's other artwork. 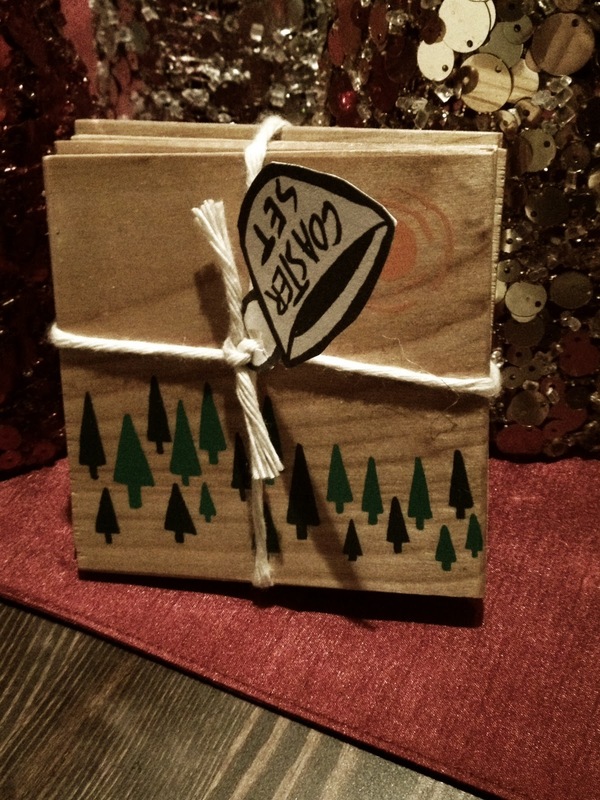 This set of coasters is great because it show cases Bryan's style of using simple shapes and colors. But, what we love most is that each coaster is different and when laid out flat they form a panoramic view. 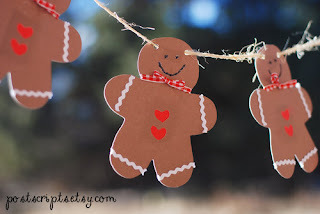 One adorably festive holiday gingerbread banner from Postscripts ! You may recognize Paula's handicrafts because we've actually featured her shop before! Remember the hot air balloon banners we featured on a color day theme a few months back? Well, that was postscripts! In addition to charming banners, Paula from postscripts has some wonderful items in her shop and we highly suggest that you rustic brides out there take a look at some of her gorgeous wooden cake stands! Want to know more about postscripts? Read our short interview with Paula below and be sure to check out her shop and "like" her on facebook! I started the shop two years ago making hairpieces. I reopened this year to make cake stands and banners. Congratulations to Rebecca and a great big THANK YOU to Bryan from Yardsale Press and Paula from postscripts for the generous donations. Look at how adorable those gingerbread men are! I love their little heart buttons.